Everything was perfect, thanks for lovely holiday at this apartment!! We had to leave at 2 am and it was not problem, SUPER!! The hosts were friendly and helpful. The apartment was well-equipped and spacious. Die Gastgeber sind sehr nett und wir haben sogar eine kleine Osterüberraschung bekommen. Die Lage ist prima; man ist schnell an der Maas und auch in der Innenstadt. Sauber, gemütlich und super nette Gastgeber(für alle Fragen offen und hilfsbereit; hätten wir gerne zu Hause als Nachbarn:). Top Lage: viele Sehenswürdigkeiten in der Nähe und Arcen ist ein hübsches kleines Städtchen abseits des Trubels. De ligging, alles was mooi dichtbij. Het gehele appartement was perfect. Een heerlijk bed, een mooie kamer/keuken, alles was prima, de onvangst was ook zeer vriendelijk . Het appartement was prettig ingericht, alsof je even op het huis van vrienden past. Locatie is ook goed, op loopafstand van oa centrum (prima horeca!) en kasteel met de bekende kasteeltuinen. Freundliche Gastgeber und sehr sauber alles.Tolle Stadt. Sehr zu empfehlen. Nice view of the garden from th living room with an outside patio. There is a washing machine in the unit that you are allowed to use. The hosts left a bottle of wine for us which was very kind. Lock in a great price for Apartment Arcen - rated 8.9 by recent guests. 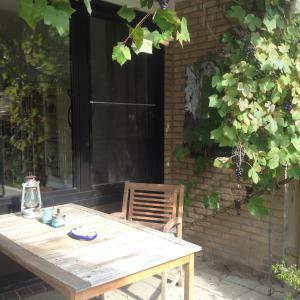 Apartment Arcen is a self-catering accommodation located on the ground floor of a private house. It is situated just 150 yards from the center of Arcen, 650 yards from Kasteeltuinen Arcen, 1.2 miles from Spa Arcen and 0.7 miles from Hertog Jan Brewery. The apartment offers a bedroom, a livingroom with garden view, a bathroom with bathtub and a fully equipped kitchen, free WIFI, Flat Screen TV, a terrace and an outside seating area. Featuring a private bathroom also comes with free toiletries, towels and even a washing machine. Various restaurants on walking distance are available for breakfast, lunch or dinner. The apartment is a great starting point for exploring the surroundings by cycle or foot. The national parc is just 1,3.1 miles and the river Meuse only 100 yards from the accommodation. Weeze Airport (Germany) is located 14.3 miles from the property. There is free parking and a secured garage to stall bicycles. This property also has one of the best-rated locations in Arcen! Guests are happier about it compared to other properties in the area. This property is also rated for the best value in Arcen! Guests are getting more for their money when compared to other properties in this city. 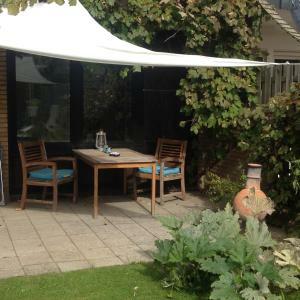 Apartment Arcen has been welcoming Booking.com guests since 15 Apr 2014. When would you like to stay at Apartment Arcen? This one-bedroom apartment features a terrace, a living room and a kitchen. Entrepreneur working from home office, German native living in The Netherlands since 1997. I am passionate about humanity, positivity, spirituality, education, creativity and authenticity. The house is a semi attached family home very close to the center of this beautiful and vibrant village. Waters (river Meuse and lakes) and bushes are just a few meters away. It is a quiet and serene neighbourhood with great sceneries. House rules Apartment Arcen takes special requests - add in the next step! ATM card Bankcard Apartment Arcen accepts these cards and reserves the right to temporarily hold an amount prior to arrival. Apartment Arcen accepts these cards and reserves the right to temporarily hold an amount prior to arrival. Please inform Apartment Arcen in advance of your expected arrival time. You can use the Special Requests box when booking, or contact the property directly with the contact details provided in your confirmation. Hot water in the kitchen had no pressure and it wasn’t hot. Hard to clean the dishes properly. The shampoo amounted to what was left in the bottom of tiny travel shampoo bottles left over from a trip to a hotel. If we didn’t have out own with us we would have been out of luck. The WIFI was so slow that you couldn’t use it and it was a dead spot for cell phone service. Pilly sheets and a slinky synthetic bed cover. No bedside table lamps. With a little bit of effort, this place could be great.